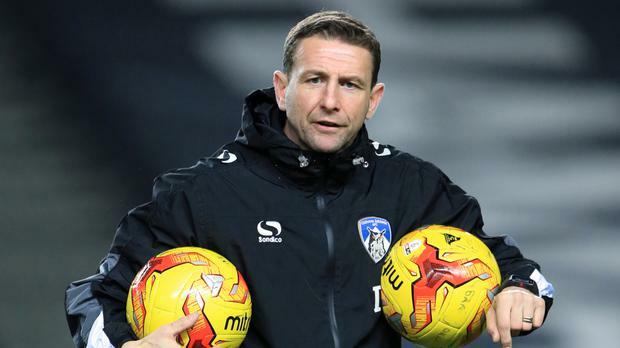 Ian Baraclough is determined to see Northern Ireland Under-21s' strong start continue before contests with Spain and Iceland in the new year. After going four years without a victory at that age group, new boss Baraclough has won three of his opening four qualifiers and a fourth victory of the campaign in Albania on Friday night would ensure they are top of the standings. More difficult examinations lie in wait in 2018 with fixtures against the Spaniards and Iceland, yet Baraclough is elated with how things have gone so far given the years of struggles Northern Ireland's youngsters have experienced. "I have been really pleased with the way we have started our European qualifying campaign," he told the Irish FA's website. "Three wins from our opening four games has been a history-making start and the players are determined to take this winning habit into the second half of the campaign if we can get a positive result in Albania this week. "Our aim is to develop the next generation of Northern Ireland footballers and prepare them for the challenge of stepping up as senior team players. And they know they can only do this by performing consistently well in the Under-21s. "Both of our opening games, versus Estonia and Albania, were won with last-minute Liam Donnelly penalties. A narrow 1-0 defeat in Slovakia was then followed up by a resounding 4-2 home victory against Estonia with our best performance yet. "With Spain and Iceland still to play home and away, we know we need to be at our best to keep winning games in our group but the squad has talent and the players are determined to succeed on the international stage."